Our scheduled tours and community arts & culture events on the Farm will resume in May 2019. The Intrepid Couple and the Story of Authentica African Imports. On exhibit at the Amy E. Tarrant Gallery on Main Street, Flynn Theater of Performing Arts, Burlington, Vermont. Tanzania was the first of more than 30 African countries where the couple lived, worked and traveled for short periods over the next 20 years, all while maintaining their family life, community ties and farm in their beloved state of Vermont. Curated by The Clemmons Family Farm, this multimedia exhibit shares some of the stories and adventurous spirits of an intrepid couple who loved to travel to out-of-the-way places. Defying social expectations tied to their race, social backgrounds, and age, Jack and Lydia Clemmons moved from Cleveland, Ohio to Vermont in 1962 and raised their children in the small rural town of Charlotte. Afro-Cuban Culinary Heritage Adventures with Eloy Guzman and special guests Sweetly and The Hotness from the satellite radio show "Restaurant Magic." 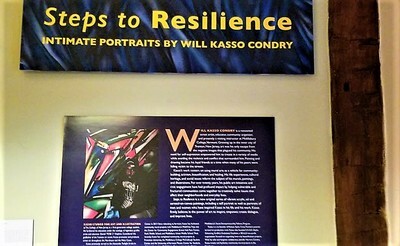 ​"Steps to Resilience: Intimate Portraits by Will Kasso Condry" on exhibit during our tours of the Historic Barn House. BYOD! (Bring Your Own Drum!). Get ready for a highly educational, engaging, and interactive book signing! 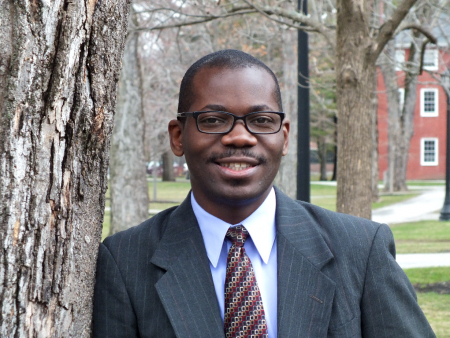 Description: Middlebury resident Dr. Damascus Kafumbe returns to the Clemmons Family Farm to share his new book, Tuning the Kingdom: Kawuugulu Music, Politics, and Storytelling in Buganda. Join us for Damascus' fascinating presentation of the use of traditional music and storytelling to shape Ugandan political structures and processes. A skilled composer and musician, Damascus will also offer a demonstration of some of the traditional musical instruments and songs that influence political life in the country. Participants are encouraged to join in and learn some of the wonderful beats and get a glimpse into some of the secrets of the drums of Ugandan culture. How to Attend: This event is FREE. Donations are welcome. Admission is limited to a maximum of 35 people- advance registration is required. Sign up on Eventbrite by clicking here. Venue: The Historic Barn House at 2122 Greenbush Road in Charlotte. (We'll be outside if the weather is nice). 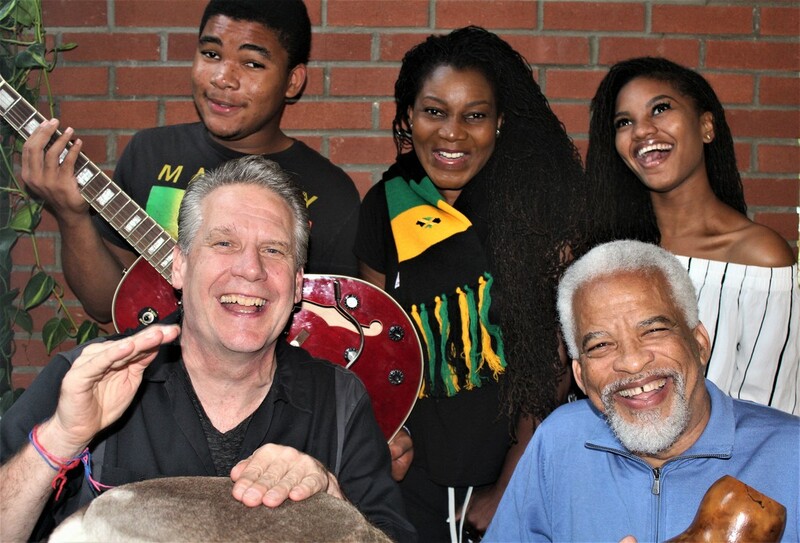 Description: Learn, commune and celebrate Afro-Caribbean music and culture with the fabulous Judi Emanuel and her family with Michael Dyke, Laura Dyke, Michael Dyke Junior and Eric Sample. Participants will get to know these vibrant new additions to our local community through a fun blend of lessons, performance, and storytelling around the music, sounds and culture of the Caribbean. Experience the true meaning of Bob Marley's 'one love, one heart' while engaging with Judi, her family, and a new community of friends in a setting designed to foster multicultural community-building. Bring your drum, shakers, tambourine, or whatever you like that will help you make a beat-- and don't worry if you don't have a musical instrument: just bring yourself! How to Attend: To ensure quality interactions, we are limiting this wonderful event to 35 people who pre-register to attend. Admission is FREE, donations are encouraged. Sign up on Eventbrite by clicking here. More fantastic African-American and African Diaspora visual, performing and culinary community arts programming will be posted very soon: stay tuned!! 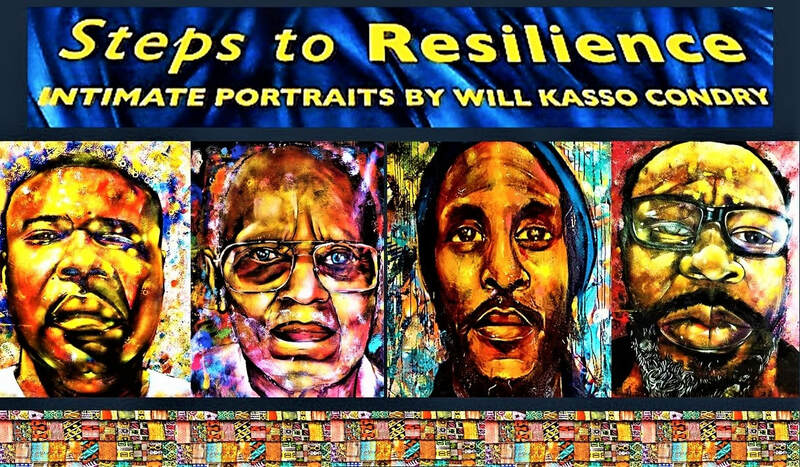 ​"Steps to Resilience: Intimate Portraits by Will Kasso." Sign up here. Description: Join us in welcoming artist Will Kasso Condry to the Clemmons Family Farm. 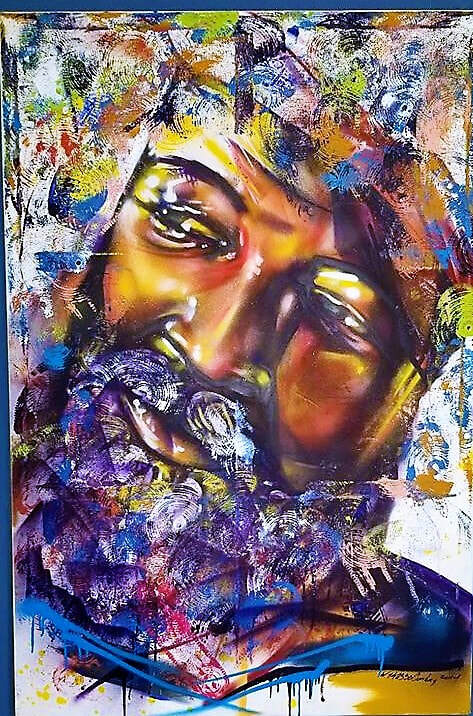 Kasso will present his new original series of vibrant acrylic, oil and aerosol-on-canvas paintings on exhibit at the historic Barn House from September 10 - October 30. 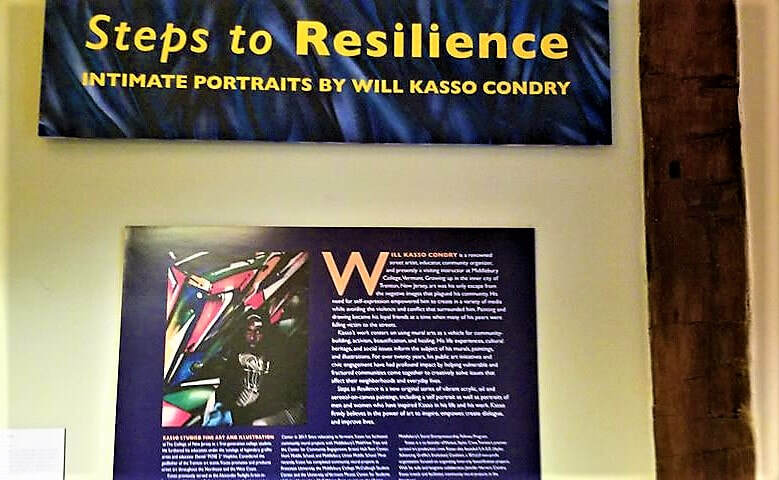 "Steps to Reslience" includes a self portrait as well as portraits of men who have been influential in Kasso's work. A reception and socializing will follow this event, which is funded in part by ArtPlace America. 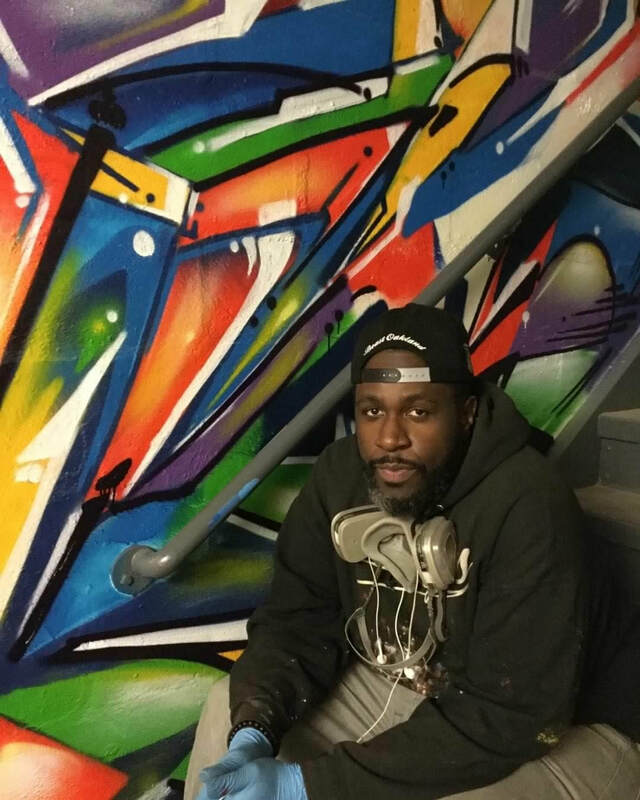 Considered the godfather of the Trenton art scene, Kasso promotes and produces street art throughout the Northeast and the West Coast. He is a renowned street artist, educator, and community organizer, and presently an artist-in-residence at Middlebury College, Vermont. Growing up in the inner-city of Trenton, New Jersey, Kasso’s only escape from the negative images that plagued his community was art. Painting and drawing became his loyal friends at a time when many of his peers were falling victim to the streets. 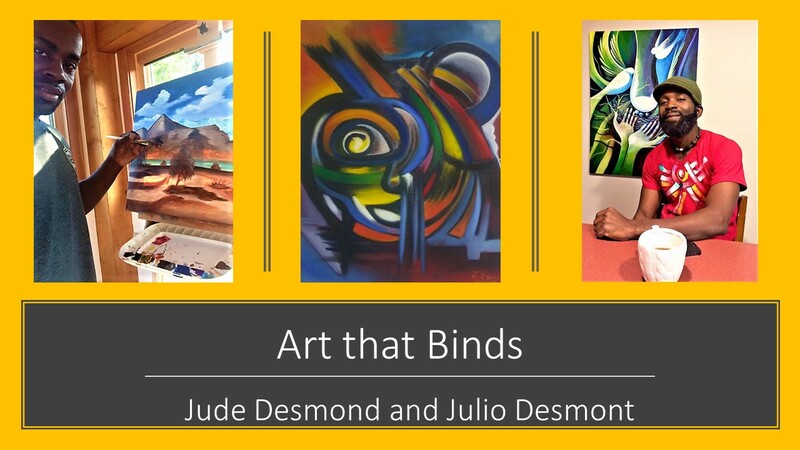 As he grew up, the need for self-expression empowered him to create in a variety of media all the while avoiding the violence and conflicts that surrounded him. Kasso studied fine art and illustration at The College of New Jersey as a first-generation college student. 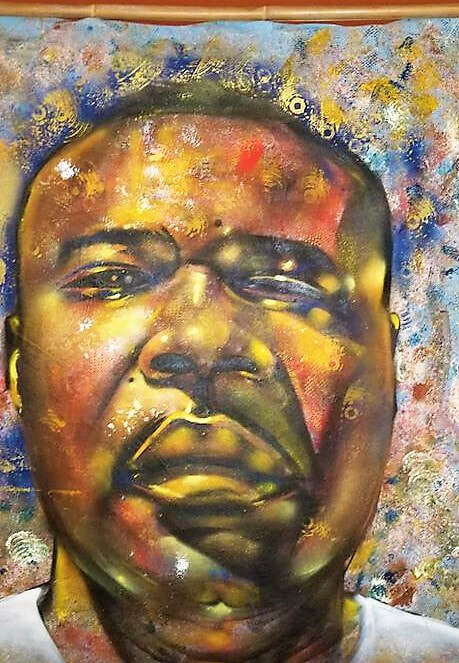 He furthered his education under the tutelage of legendary graffiti artist and educator Daniel “POSE 2” Hopkins. This event is funded in part by ArtPlace America. How to attend: This event is FREE. Donations are welcome. Admission is limited to a maximum of 35 people- advance registration is required. Sign ups are now FULLY BOOKED. Event: The Clemmons Family Farm's Humanities Series: To Sing of Common Things: The Voices of Young People in 2018. ​Saturday, September 8 2018 from 3:00 pm - 4:30 p.m. 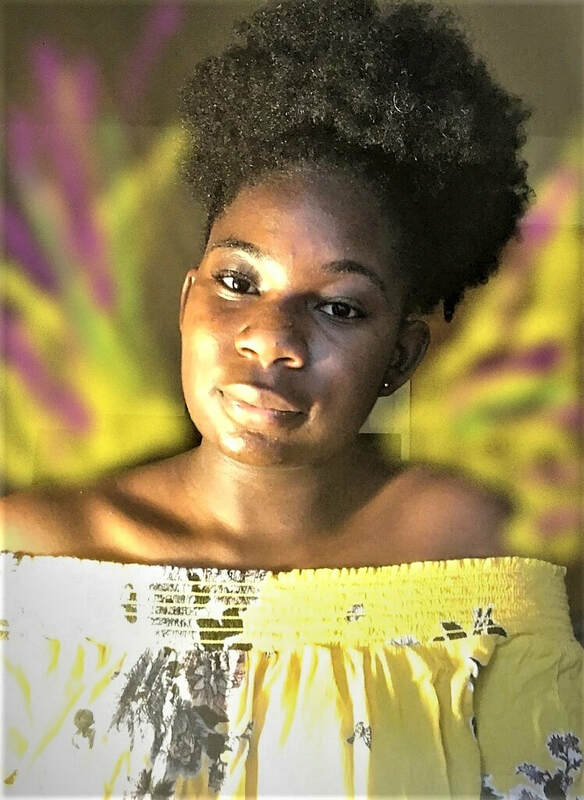 Description: Co-organized with The Young Writers’ Project, the five-part 2018 Clemmons Family Farm Humanities Speakers’ Series features ten teenage scholars who are creative writers and spoken word artists. The young speakers' presentations share how they use their art to express their feelings, find their grounding, and take action. The speakers will also share brief performances of selections of their creative works. Ms. Kiah Morris and Mr. Rajnii Eddins, professional spoken word artists based in Bennington, Vermont and Burlington, Vermont respectively will co-host this dynamic series. The series is funded in part by the Vermont Humanities Council and ArtPlace America. How to Attend: This event is FREE but seats are limited. Please check Eventbrite for listings. When: Sunday July 29 from 3 pm - 4:30 p.m.
Co-hosts: Ms. Kiah Morris and Mr. Rajnii Eddins, professional spoken word artists based in Bennington, Vermont and Burlington, Vermont respectively will co-host this dynamic series. ​More information: Co-organized with The Young Writers’ Project, the 2018 Clemmons Family Farm Humanities Speakers’ Series will feature ten teenage scholars who are creative writers and spoken word artists. The young speakers' presentations will share how they use their art to express their feelings, find their grounding, and take action. The speakers will also share brief performances of selections of their creative works. ​ The series is funded in part by the Vermont Humanities Council and ArtPlace America. Check the Eventbrite page for more dates in this five-part series, with new young speakers at each event! Left: First event of To Sing of Common Things speakers series featuring Hawa Adam and Balkisa Abdikadir of ​Muslim Girls Making Change. ​When: Saturday July 21 from 3 pm - 4:30 p.m.
Left: Second event of To Sing of Common Things speakers series featuring Kiran Waquar and Lena GInawi of Muslim Girls Making Change. Award-winning Vermont poet Major Jackson, the lead presenter, will be joined by several other acclaimed poet-readers. This wonderful free event is supported in part by the Vermont Humanities Council. Funded with support from the Vermont Humanities Council, this event is free but RSVPs are required! Please go to the Evenbrite link for more information and to sign up to attend! 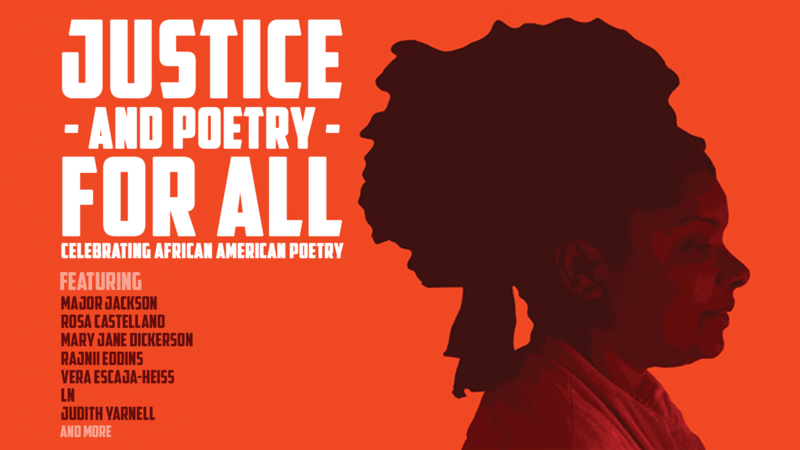 Poetry & Justice for All: Sun Dog Poetry Event from Mt. Mansfield Community TV on Vimeo. 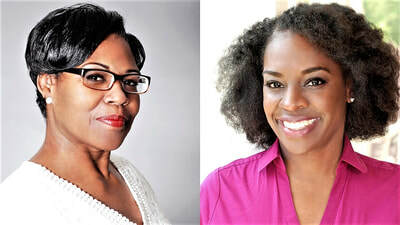 In a special celebration of African-American poetry, the first event in an annual series called Justice--and Poetry--For All, produced by the Sundog Poetry Center, will take place Friday evening June 22, from 6:00 pm to 8:00 pm, at the historic Barn House on the Clemmons Family Farm in Charlotte- one of the largest African-American owned historic farms in Vermont. There will be an opening reception and a feast of poems giving voice to African-American history and hope. Left: Watch the full performance of magnificent readings of African-American poetry at the Justice- and Poetry- For All event organized by SunDog Poetry Center at the Clemmons Family Farm..
For the Love of the Land: Photography & Poetry Lovework (a creative community service) FREE!! "Loveworks" are volunteer community service activities curated by the Clemmons Family Farm for residents of Charlotte, Shelburne, Hinesburg, South Burlington, Burlington and Winooski to learn about, celebrate and commune around African-American heritage, art, and each other as members of a loving and supportive multicultural community. Our Summer 2018 "Loveworks" theme, For the Love of the Land, focuses on the creative exploration of a magic meadow secreted away on the west side of the Clemmons Family Farm, the joy of open spaces, and the implications of the dramatic loss of African-American land assets over the past century. The work that will be shared from this exploration is a part of preserving the family land, history and heritage of the Clemmons Family Farm within the context of African-American land ownership. Some of us understand the feeling of having a special spot in an open space, meadow, or on a particular piece of land that we considered "home" or a safe space, either as an adult or during our childhood. This particular loveworks experience invites you to explore one of the many special places on the Clemmons Family Farm that we like to call the “magic meadow.” You will take a 10-minute walk to reach the magic meadow, and with your Artist-Facilitators, photographer Glennisha Morgan and poet J-Coby Wayne, you will enjoy a creative exploration of this beautiful open space. This is not just any meadow, it is a precious part of the many natural assets of this historic, African-American owned farm. Become familiar with how to build a poem using various elements and senses. This is a FREE event. To learn more and to sign up, go to the Eventbrite link by clicking on the button below! "For the Love of the Land": Sign Up!!!! Monday, January 15, 2018, the ECHO Leahy Center for Lake Champlain, 1 College Street, Burlington Vermont. Join us from 10 a.m. to 5 p.m. at the Sixth Annual Dr. Martin Luther King Community Celebration at the ECHO Center on Monday January 15, 2018. This year's theme is “Immigration,” with a special focus by the Clemmons Family Farm on the Great Migration. We'll be launching our Great Migration Storytelling Bookmark Series! This event is free and kid-friendly. 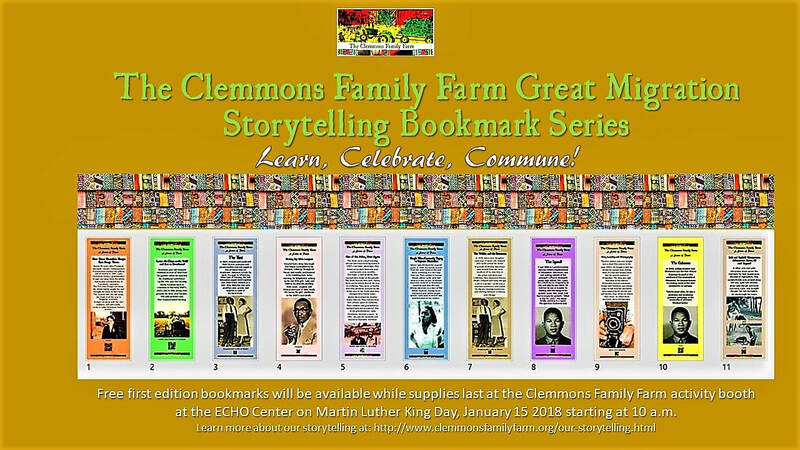 Stop by, pick up a free bookmark, and join us in celebrating some remarkable living history of the Great Migration as told through the beautiful, vibrant storytelling of Vermonters Jack and Lydia Clemmons! To see our full report on 2017 Clemmons Family Farm Program Highlights, click here. October "Fall-ing for Soul Food" events on the Clemmons Family Farm: African American Culinary Heritage of Pies! DATE/TIME: Friday October 13, 2017, Saturday, October 14 and Sunday October 15 (check times on the sign-up information below!). 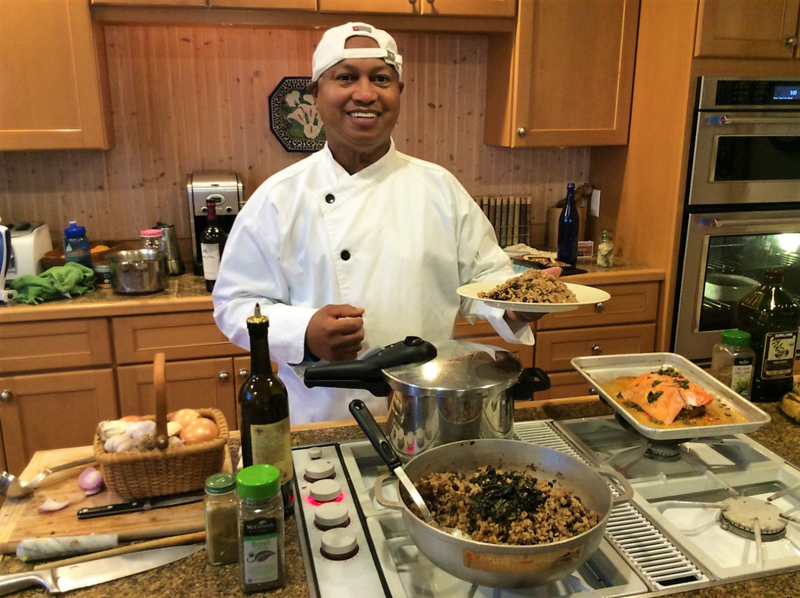 EVENTS: ​African American Culinary Heritage Cooking and Conversation with Chef Omar Tate. LOCATION: The Historic Barn House, at 2122 Greenbush Road, Charlotte Vermont. Free. Pre-registration is required; Maximum of 35 people. Sign up here. Learn about the heritage and art behind the making of three different pies that are a part of African American culinary traditions: minced pork pie, sweet potato pie and bean pie. 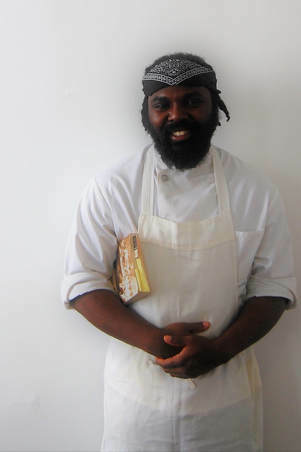 Chef Omar Tate from New York will share samples of his pies as well as some of his knowledge and personal reflections on the place of pies in African American history and culture. There are also opportunities to enroll in a short pie-making class with Chef Omar! Friday, October 13, 5:30 p.m. - 6:30 p.m. Free "cooking & conversation event" with a presentation and storytelling by Chef Omar Tate, and free tastes of three pies packed with African American history! 30 people max. Saturday, October 14, 2:00 p.m. - 4:00 p.m. Sweet potato pie class. 8 people max. Sunday, October 15, 11:00 a.m. - 1:00 p.m. Bean pie class. 8 people max. Sunday, October 15, 3:30 p.m. - 5:30 p.m. Minced pork pie class. 8 people max. LOCATION: The Barn House at the Clemmons Family Farm. 2122 Greenbush Road, Charlotte, Vermont. ​DATE/TIME: Watch this space for more dates September through October 2017. We'll also post announcements for the coffee ceremony sign-ups on our FaceBook page. DESCRIPTION: Come enjoy the intoxicating aromas of frankincense and fresh roasted coffee prepared and served the traditional way by Alganesh Michael at our Ethiopian/Eritrean coffee ceremony. We'll serve you three rounds of coffee along with popcorn and dabo, an Ethiopian traditional bread. Sit back, breathe in and embrace one of Vermont's wonderful multicultural experiences! 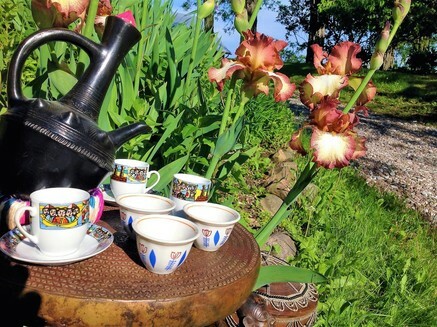 Our coffee ceremonies also include a presentation on Ethiopian culture, Ethiopian music, great conversation, and time to enjoy some of the beautiful Farm grounds with views of the Adirondack mountains and our organic farm meadows. ​To ensure the quality of the multicultural experience, admission to each coffee ceremony is limited to 25 people. DATE/TIME: Saturday October 7, 2017. 5:00 pm - 6:30 pm. 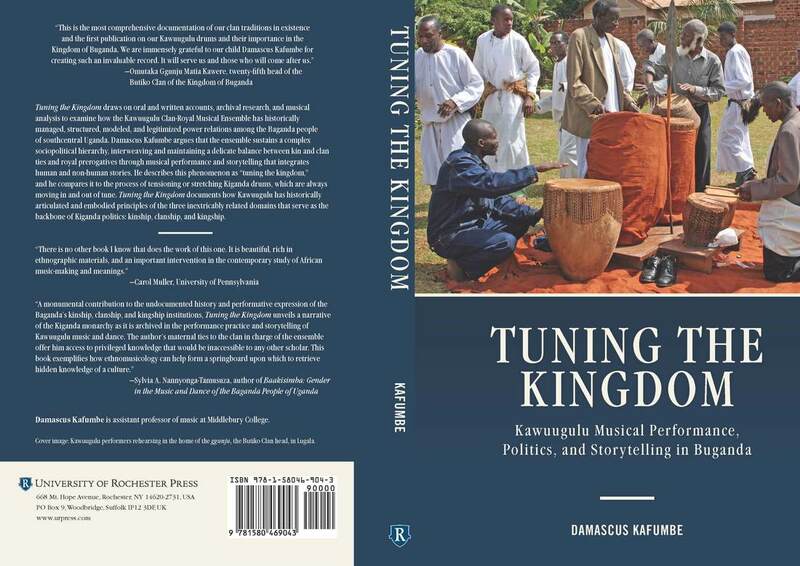 EVENT: Tuning the Kingdom: Kawuugulu Music, Politics, and Storytelling in Buganda. Guest Speaker/Presenter: Damascus Kafumbe, PhD. ​The Clemmons Family Farm is honored to present Dr. Damascus Kafumbe as our next guest speaker in our Humanities Speaker Series, "To Sing of Common Things: Exploring Love, Family, Identity, Politics and Daily Life in African and African American Literature, Music and Performance”. Ethnomusicologist Damascus Kafumbe presents some of the work from his forthcoming book, "Tuning the Kingdom: Kawuugulu Music, Politics, and Storytelling in Buganda," contextualizing it in his research on and experiences with the role of musical practice and storytelling in shaping Ugandan political structures and processes. ​​A multi-instrumentalist, dancer, composer, and instrument technician, Dr, Kafumbe specializes in East African musical and dance traditions. During the event, he will also demonstrate some of the use of traditional musical instruments, songs, and dances that influence political life in the country. Get ready for a highly educational, engaging, and interactive humanities event! Thanks to the generous support of the Vermont Humanities Council, this event is free. Admission is limited to a maximum of 35 people. DATE/TIME: Wednesday October 4, 2017. 5:00 pm - 6:30 pm. EVENT: Dream of Dancing on the Farm. LOCATION: Meet up at Cranberry Bog House on the Farm, at 2213 Greenbush Road, Charlotte Vermont. ​Are you a serious dancer or do you just love to watch dance? Come along with us during our walk-and-talk with Christal Brown and her students as we meet with Clemmons Family Farm owners Jack and Lydia Clemmons, tour some the Farm's historic buildings and beautiful working landscape, and explore its potential in a new dance project that is in the earliest stage of development. “Native + Stranger” is an exciting new collaboration between two outstanding performing artists that blends dance, multiculturalism, politics, healing and much, much more- into creative expression. Christal Brown is an interdisciplinary artist who works through the medium of dance to investigate the cultural, social, and evolving discourse of humanity. Christal is also Director of the Dance Company of Middlebury and Dance Program Chair of Middlebury College, and an award-winning choreographer. Christal will be working with Rulan Tangen, whose art values movement as an expression of indigenous worldview including the honoring of matriarchal leadership, dance as functional ritual for transformation and healing, the process of decolonizing the body, and the animistic energetic connection with all forms of life on earth. She has recruited and nurtured a new generation of Indigenous contemporary dancers. Rulan is also the Director of Dancing Earth. 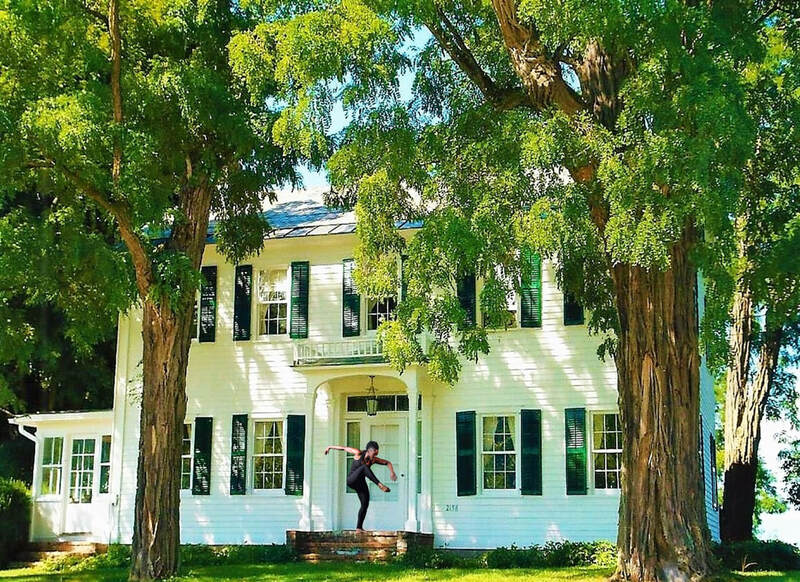 Brainstorm with us on ways Christal, Rulan and the Middlebury dance students could engage local community members, young and old, in a place-based investigation of self, environment, evolution and truth through dance. This is a free and easy-going pop-up event on the Farm. To ensure the quality of our multicultural experience, we are limiting participation to the first 10 dancers (and/or those who just love to watch dance) who sign up. Attire: Thinking caps and walking (or dancing!) shoes. We will be walking-and-talking, thinking, and possibly doing some impromptu dancing, around different outdoor and indoor areas on the Farm. 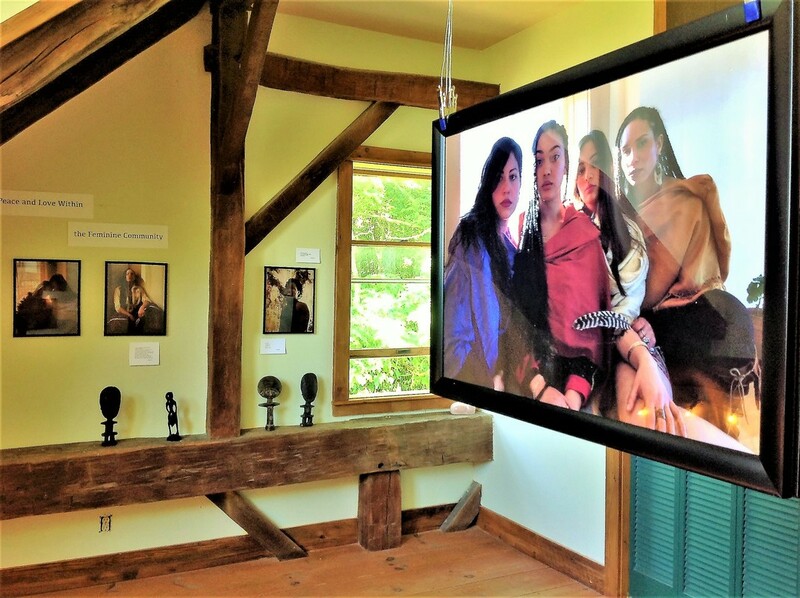 ​PS: Please do check out all the hyperlinks above so that you see just why we are SO THRILLED to be a part of this early phase of an amazing creative work-in-progress right here in Vermont!!!!! ​DATE/TIME: Saturday September 23, 2017. 4:00 - 5:30 PM. 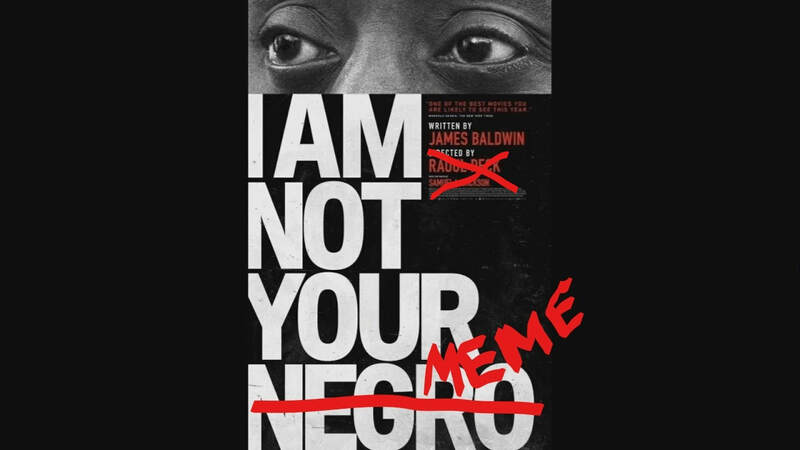 EVENT: "I Am Not Your Meme: Social Media and the Resurrection of James Baldwin": Presentation and reading by Brian Murphy. REGISTER: Sign up for this free event here. ​The Clemmons Family Farm is honored to present Dr. Brian Murphy as our next guest speaker in our Humanities Speaker Series, "To Sing of Common Things: Exploring Love, Family, Identity, Politics and Daily Life in African and African American Literature, Music and Performance”. 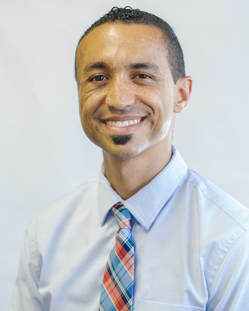 In his presentation, "I Am Not Your Meme: Social Media and the Resurrection of James Baldwin", Dr. Murphy will share insights on the famous author's important contributions to work beyond the topics of race and racism. Thirty years after his death, James Baldwin's essays and novels have become quite popular again. His words prophetically and poetically illuminate current events, from Ferguson and the rise of Black Lives Matter, to the election of Donald Trump and the recasting of white supremacy as the "alt-right." Memes and tweets quoting his work circulate constantly on social media, especially in the wake of police shootings and other tragic events. But what do we miss when we look at Baldwin’s art and thought only through social media and solely on his works on race, tyranny, and violence? What of his meditations on love, the challenge of freedom, the illusions of safety and security, and the fatal power of shame? Ultimately, Baldwin’s vision looked beyond racial oppression and the conflicts of our era to consider universal, timeless struggles. Even his most incisive writing on race is haunted by larger questions: if we ever manage to achieve our freedom, what will we do with it? If we survive this oppression, how will we then choose to live? Dr. Brian Michael Murphy is an Assistant Professor of Interdisciplinary Studies at Champlain College, an Instructor in the Kenyon Review Young Writers Workshop, and a blogger for the Kenyon Review. His poems and essays have been published or are forthcoming in Waxwing, Media-N, Birmingham Poetry Review, Ácoma, and elsewhere. As a hip hop/spoken word artist, he released the albums Manifest Destiny and Black Fire. Currently, he is writing a nonfiction book called We the Dead: Preserving American Culture at the End of the World. ​DATE/TIME: Friday September 15, 2017. 9:00 - 10:30 AM. EVENT: "Many Faces, Many Moods": Poetry Workshop with Tim Seible. 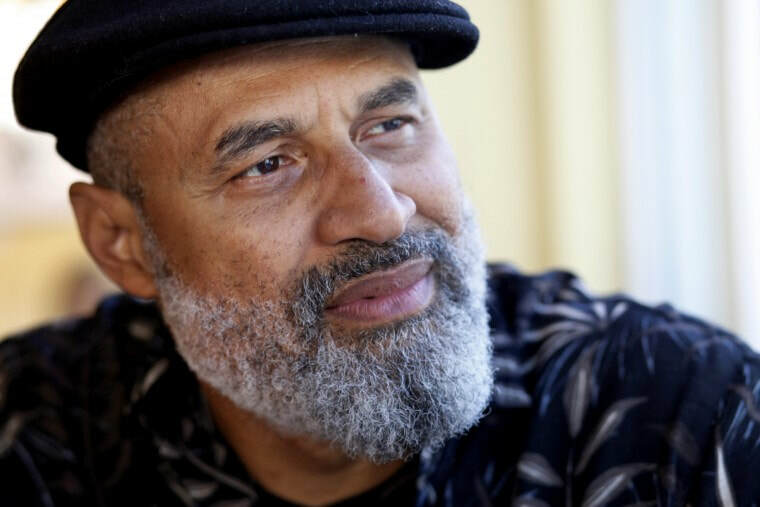 ​DESCRIPTION: The Clemmons Family Farm is thrilled to join Sundog Poetry Center, Inc. in co-hosting a poetry writing workshop led by award-winning poet Tim Seibles. 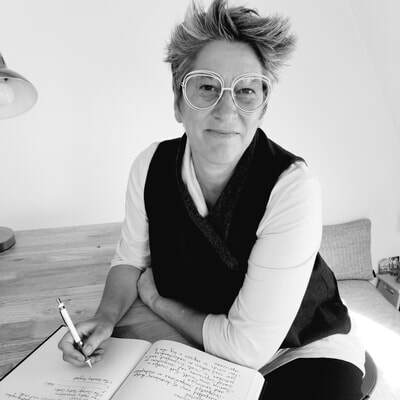 This is a unique opportunity for participants to enhance their writing skills by using 'persona' to expand the tonal range of their poetry. Dr. Seibles' own poetry approaches themes of racial tension, class conflict, and intimacy from several directions at once in poems with plainspoken yet fast-turning language. ​Watch a 60-second video featuring some of Tim Seible's poetry workshop facilitation skills to help participants channel their "sense of self" into their writing here. WORKSHOP REGISTRATION: To ensure high-quality multicultural interactions with Dr. Seibles and other workshop participants, admission is limited to 30 people. Workshop fees are $25/person. Coffee, tea, milk/creamer, pastries or other light breakfast fare will be provided. Please contact Tamra Higgins at sundogpoetry@gmail.com to register and for more information about the workshop. ABOUT THE ORGANIZERS: Sun Dog Poetry Center is a non-profit organization that is funded through its programs and through the generosity of individuals, businesses, and organizations. Its mission is to promote poetry as necessary to the enrichment of our cultural lives, support poets in their work and create audiences for their poetry, and provide ways to share poetry throughout the Vermont community. 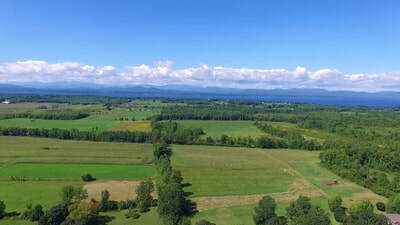 The Clemmons Family Farm is one of the largest African American-owned historic farms in the state of Vermont. It is one of the 22 landmark sites on the Vermont African American Heritage Trail. ​Owned by Jack and Lydia Clemmons since 1962, the 148-acre Farm, with its 6 historic buildings, continues the family tradition of blending farming with the arts, the sciences, and opportunities to learn and share across religions, cultures and experiences with the local community and with visitors from near and far. Our mission is provide a welcoming place for everyone to celebrate African American heritage (past, present and future), to foster the appreciation of the heritage and cultures of all people (people of different races, ethnicities, nationalities, religions, etc), and to offer a beautiful place, full of history and meaning, for people of African descent to experience a special sense of belonging for generations to come. EVENT: "LIVE from Vermont!" with Guest Speaker Eva McKend. ​Admission to this event was FREE thanks to the generous support of the Vermont Humanities Council. To ensure the quality of the interactions with Ms. McKend and among the participants, admission is limited to 30 people. Please register here. ​Ms. McKend co-anchors the 5:30 p.m. and 11 p.m. news shows on WCAX News. Before moving to Vermont, Ms. McKend was a reporter at the Time Warner Cable News station in the Hudson Valley region of New York. Her reporting on stories in the Greater New York City region at the 24-hour cable news channel, received national and international attention, including recognition by The Associated Press for Best Continuing Coverage and the AP for General Excellence in Individual Reporting. She is among Vermont’s first African American full-time weekday television news anchors. In her presentation, "LIVE from Vermont!," Ms. McKend talked about her personal approach to documenting, studying and explaining the human experience in Vermont: WHOSE experience is "news" and HOW are these experiences explained. What do "performance" and "persona" mean for a television news anchor, and how are these, along with the overall field of journalism, changing over time-- from the days of Walter Cronkite to the days of Entertainment news. She will also share insights on what it means to work in the current environment of the national debate around what constitutes "real news" and "fake news". Finally, Ms. McKend highlighted the contributions of Gwen Ifful and other selected African American journalists to the field of journalism. This event is free and is made possible through a grant from the Vermont Humanities Council. 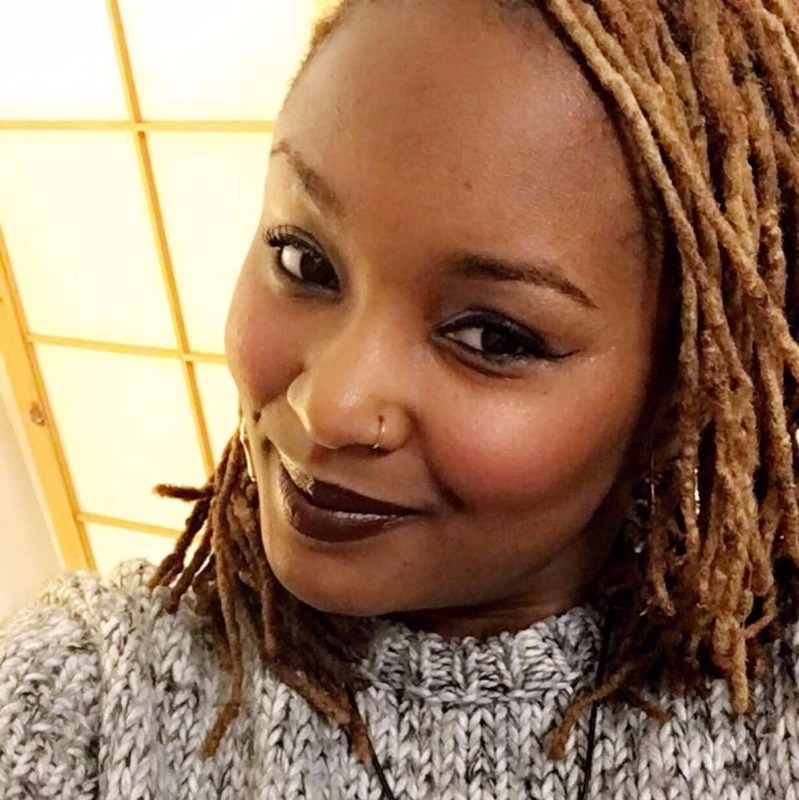 ​Since moving to Vermont, Ms. McKend has been a key community mobilizer for women of all colors, as well as a powerful role model for young African American girls around the state. She also recently volunteered her time in Cape Town, South Africa to mentor youth aspiring to careers in journalism. 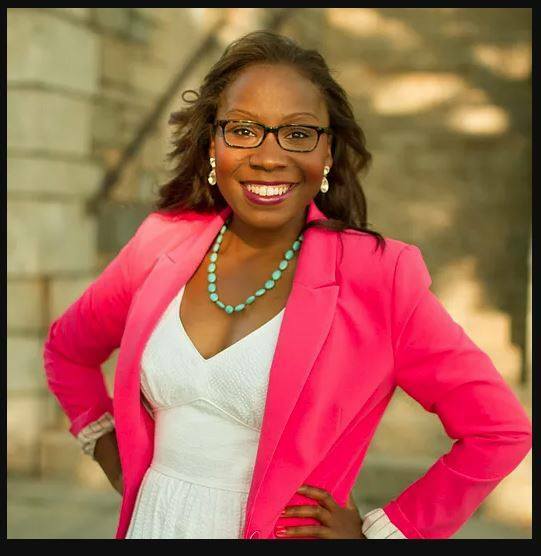 Before working in Vermont and New York, Ms. McKend was a Washington-based correspondent for KOLR/KOZL, a CBS affiliate in Springfield, Missouri. She interned at CNN, NBC Philadelphia, ESSENCE and Ms. magazine. She has also traveled extensively through fellowships and grants for academic opportunities in Australia, England, France, Spain, Greece, Senegal, Morocco, Brazil, China and Japan. She is a graduate of Swarthmore College and earned her master's degree from the S.I. Newhouse School of Communications at Syracuse University as a Turner Broadcasting Fellow. DATE/TIME: Thursday August 10, 2017 from 1 - 3 pm. 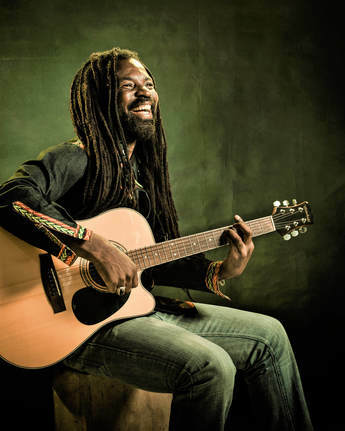 EVENT: Lunch and conversation with Ghanaian superstar Rocky Dawuni. Born in Ghana and based in Los Angeles, Rocky has performed and collaborated with Stevie Wonder, Peter Gabriel, Bono, Jason Mraz, Janelle Monae and John Legend, among many others. Named one of Africa’s Top 10 global stars by CNN, Rocky is not "just" an Afro Rock superstar. His eloquence, cultural diplomacy and melding of music and activism have led him to become a passionate spokesperson for various global causes. He has joined forces with Product (RED), UNICEF, the Carter Center, the UN Foundation and Whole Planet Foundation to help raise funds for their initiatives to fight global poverty. In 2012, Rocky was appointed the Tourism and Cultural Ambassador of Ghana and World Ambassador for the Musicians Union of Ghana. The same year, he was named a United Nations Foundation Ambassador, alongside actress Julia Roberts and chef José Andrés. This is a unique opportunity to spend quality time with this remarkable celebrity. A West African lunch and beverages are provided free by Cumbancha. This special pop-up event is free, however pre-registration is required and is limited to a maximum of 20 people to ensure the quality of this cross-cultural experience. Sign up here. Donations are very appreciated to help the Farm continue to offer free events like this one to our community. 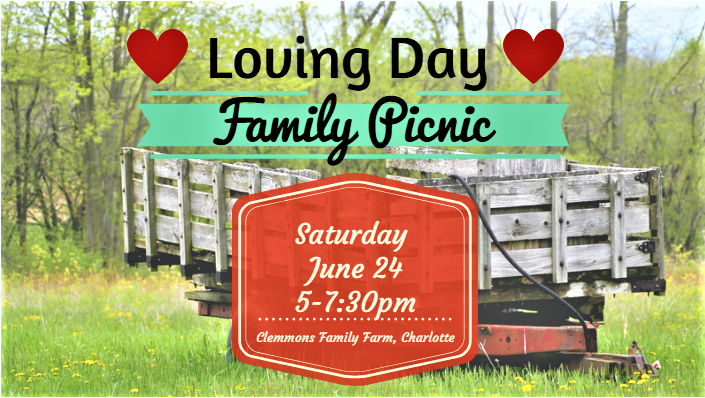 ​Join us on Saturday, June 24 at The Clemmons Family Farm for an all-ages multicultural family picnic in celebration of the 4th annual Loving Day Vermont and the 50th anniversary of Loving v. Virginia, the case that struck down all laws against interracial marriage in the U.S.! The event will include lawn games, a drum circle, and a time to speak out on what Loving Day means to you! Please bring your do-it-yourself picnic items (lawn chairs, blankets, dinner and drinks, lawn games, portable instruments and bug spray)! Please also bring extra plastic or paper bags to take any trash or leftovers away with you. ​Admission is free with suggested donation of $5 per person or $15 per family. Donations will go toward helping keep The Clemmons Family Farm venues available for community events like this one. DESCRIPTION: Join us in the historic Barn House at The Clemmons Family Farm to listen to author Donna Sherard read from her new children's book, "The Splendiferous Adventures of Ryan Odongo". 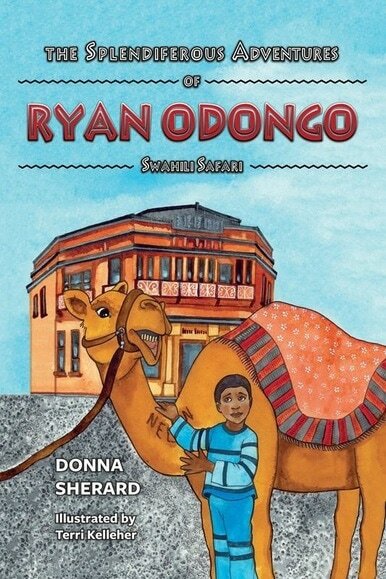 The story is about a bicultural ‘tween, Ryan, who reluctantly travels from the United States to Kenya with his family on vacation. Soon after they arrive in a struggling Swahili beach town, Ryan realizes that saving a new friend from catastrophe is solely up to him. The clock is ticking and in order to prevent disaster, Ryan has to go on the adventure of his life and bravely come to face who he really is – his heritage and all of his quirks! To ensure the quality of the multicultural experience with our guest speaker and author, we are limiting attendance to a maximum of 35 people.​ Admission is free but seating must be reserved in advance.